Marlin Electric LLC provides home and business alarm & security installations to protect your family, friends, and clients. It’s important to Marlin Electric that we provide high quality, efficient and reliable service to ensure that you are protected from any possible harm from burglary to other unlawful acts. We serve the Greater Fairfield County area including Bridgeport, Darien, Easton, Fairfield, Greenwich, New Canaan, Norwalk, Redding, Ridgefield, Shelton, Stamford, Stratford, Trumbull, Weston, Westport, Wilton & Surrounding Areas. We are pros at installing full security systems while maintaining all alarms for your home, office or even commercial property. 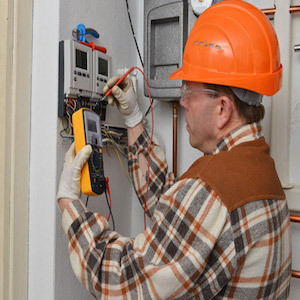 You can always count on Marlin Electric LLC to get the job done fast. There are a variety of security options for you out there. While we do not provide security systems, we don’t have a problem installing them, ensuring they are operating properly before we leave your property. Unmonitored – alarms create loud noise that can herd inside and out. No-one is contacted. Wireless Alarm – Ability to connect to cameras. This is unmonitored. Electric – These are like motion sensors that go off when doors & windows are opened. A loud noise occurs as it does so. Other add on options include automated lights, panic buttons, water systems, intercoms and fire and carbon dioxide monitors. See our landscape lighting services to ensure you have a safe outdoor are. After you have chosen the best security system for you house, Marlin Electric will come in and install the system. Making sure it is optimally working. Video surveillance systems are becoming popular as many have the ability connect right to your phone, ipad and computer. If you travel, go away or even run your business out of your home, installing a video camera is an excellent way to protect your assets and increase your home/business’s security. Marlin Electric can help with placement options, installation processes and brief teaching on how to operate your new video security system. Don’t hesitate to contact Marlin Electric to learn how you can install video surveillance and even connect it to your security monitors. Marlin Electric LLC offers reliable, efficient, professional alarm and camera security systems for your home and business. With 15 years of experience, you can trust our personnel at Marlin Electric to install alarm systems that will best protect your home. Our staff is made up of licensed electricians who will be able to help you plan and design the best alarm system for your needs. 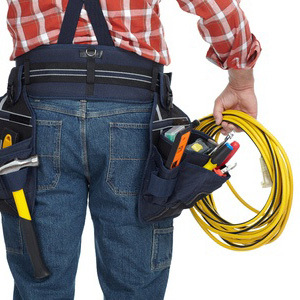 With 24- hour emergency electrical services, your alarm systems are in safe hands. Update your home security. Call us today.